It’s time to get that runner’s high with our runner’s delight basket! Try your luck at winning a pair of Apple airpods, a $100 Apple gift card, a runner's belt, and cooling towel. Do you dare to take on the Art Museum Steps? 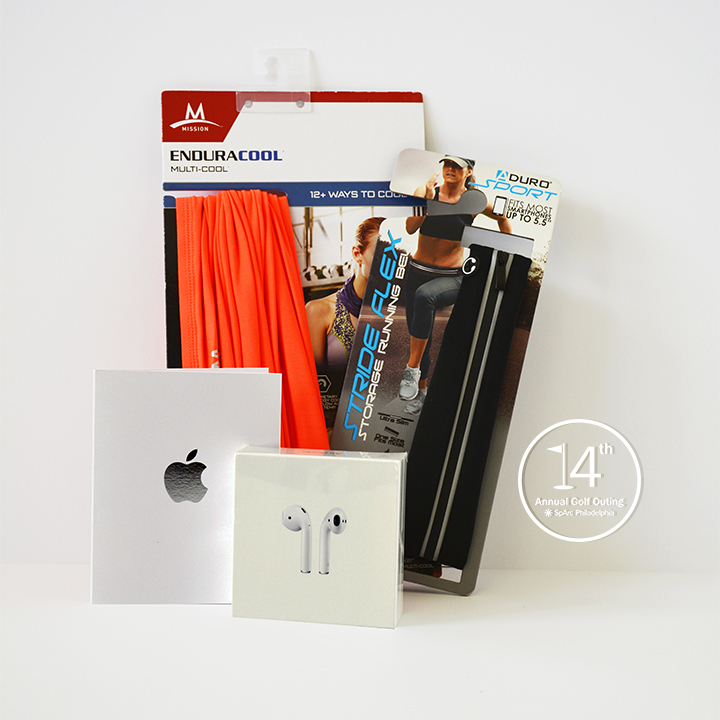 Basket includes: Apple Airpods, an Apple gift card for $100, a runners belt, and a cooling towel.